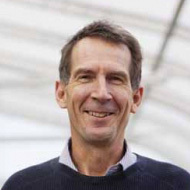 Peter Ramsden is a leading thinker and activist in the field of local, urban and regional economic development with a proven track record in promoting and disseminating new ideas. He has worked in the European Commission, in the Regional Development Agency movement, in the public and private sectors, in leading think tanks and now leads the company Freiss ltd, a niche consultancy focusing on social innovation and local development. He is a Pole Manager for the EU URBACT programme helping cities to exchange and learn from good practices. In the past year he has led the team which published the 50 good practices on EU Urban Policies. He also cowrote the new guide to social innovation in cohesion policy and the guidance for CLLD in Europe. We need to talk about smart specialisation!